Elvis Files Magazine 21 - Misc. 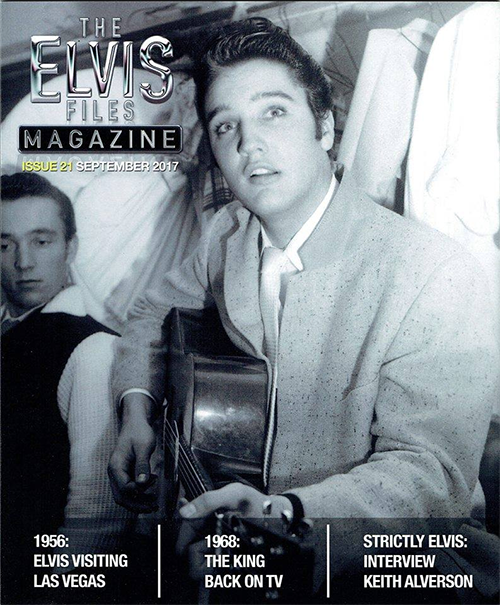 The new issue of The Elvis Files Magazine arrived from Norway. In this - as ever good looking - volume there's attention for Elvis' trip to Vegas in '57 (and not 56 as the cover is suggesting), there are some more goodies from the 50s (Arkansas '55!). There's also room for the '68 special and (of course) for the upcoming books by KJ Consulting and an interview with Keith Alverson.